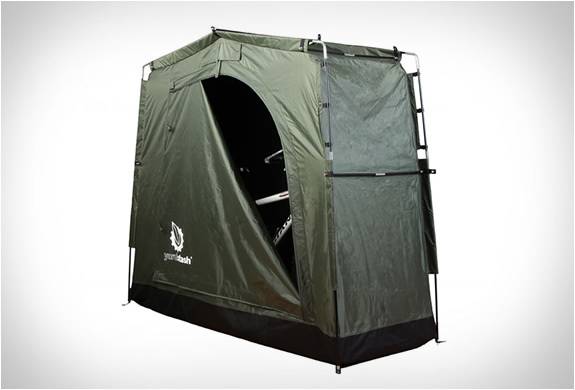 YardStash is an affordable and space saving alternative to sheds and deck boxes. 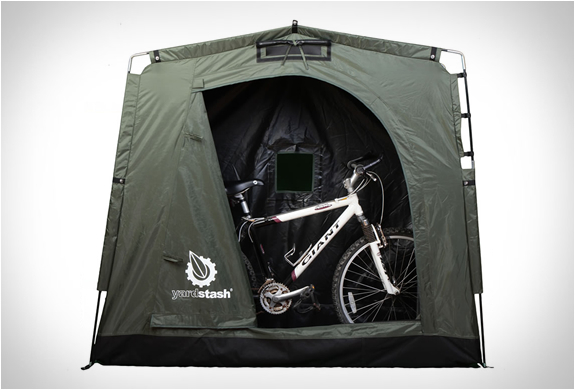 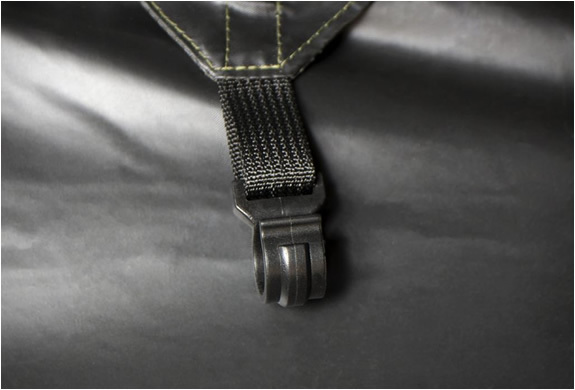 Made from tough, heavy duty, weatherproof, and UV protected polyester, YardStash is easily set up in 10 minutes, and can easily stash two adult bikes with room to spare. 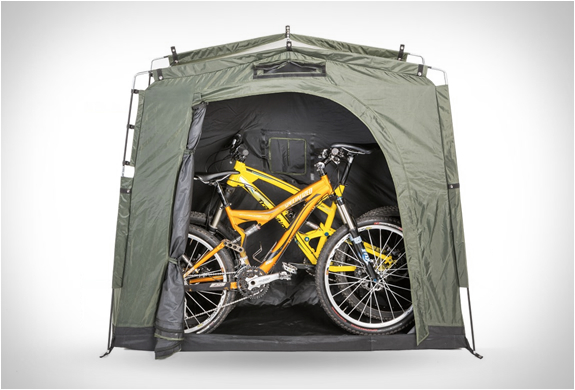 Weatherproof coating ensures your precious rides stay bone dry. 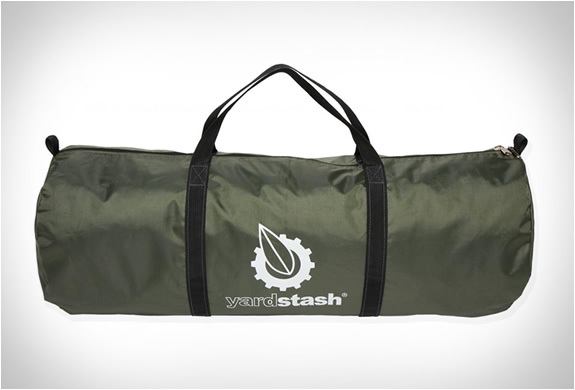 Yardstash comes with a bag, very handy for transporting on a weekend trip.